What is a Notice to Owner? – Daniel M. Copeland, Attorney at Law, P.A. A Notice to Owner is a written notice, as required by Florida Statute §713.06, which officially advises the owner(s) of a property that an improvement is going to be made. It is usually sent by a subcontractor or supplier not dealing directly with the owner. The purpose of the Notice is to make the owner(s) aware that the subcontractor or supplier will look to them for payment before payment is made to the contractor on the job. 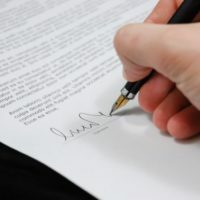 Florida Statute §713.06, requires that a Notice to Owner be served on the owner(s) of improvement not later than 45 days from the date of first labor, services, or materials delivered to the job site as a prerequisite to secure the subcontractors or suppliers right to lien the property in the event they are not paid for work done at the property. The Notice to Owner gives the owner(s) of the property the opportunity to verify that the subcontractors and suppliers are paid, usually by obtaining a “release of lien” by the subcontractors and suppliers, when payments are made to the contractor. This assures the owners that the payments have been made and they are not surprised later with a lien against their property from someone with whom the owner(s) do not have a contract. Property Owner(s): Protect Your Property from liens. A verbal notice to the owner(s) is NO substitute for the written notice to owner as required by Florida Statute §713.06. Subcontractors and suppliers: Protect your lien rights.